Having trouble managing risk for meetings and events? You’re not alone. 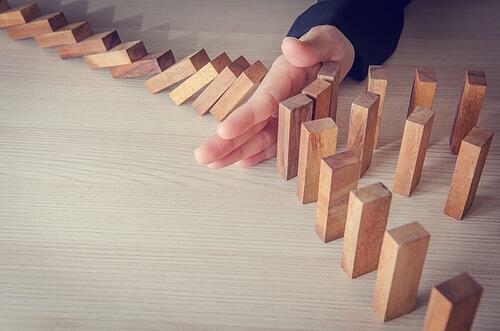 Most companies fall short on risk management for attendees, according to a survey of 400 corporate planners and decision makers by GoldSpring Consulting and iJet International. The survey, released in March 2018, concluded meetings and events fall outside the scope of many corporate-travel programs. And so the risk-management part of these travel programs doesn't apply to meetings. Findings reveal a stark contrast between management of business travel compared to meetings and events. Nearly two-thirds of respondents (64%) said their company has a business-travel risk-management policy in place. Of those, less than half (45%) had risk policies for meetings and events (16% included them as part of their business travel policies, 29% had standalone policies for meetings). With natural disasters, pandemics, and global uncertainties, companies today face more pressure than ever to ensure safety – not only for their travelers but for meeting attendees, too. The good news is implementing a meetings risk policy doesn’t have to be that hard. A new generation of venue sourcing solutions now lends a hand. The technology does more than traditional eRFP tools, which focus mainly on the venue search and bidding process. But researching venues and sending eRFPs are only a fraction of a planner’s job. Next-level strategic sourcing solutions automate the entire booking path. They send eRFPs, track meeting and event spend, compare proposals, shortlist properties, negotiate better deals, book venues, and more. Best of all, strategic sourcing captures more meeting and event data automatically than ever before. You gain unprecedented visibility in real time into meeting and event activity – across the organization, throughout the planning process. There are many ways you can leverage these solutions to dramatically reduce risk and improve duty of care for attendees. Here are my favorites, using examples from the latest venue sourcing technology. Now, you can centralize the data without having to centralize planning teams. A simple online meeting request gets the process started. Create a clear process that captures M&E data from request through contract. New solutions automate stakeholder communications, too. So it’s easy to track meeting and travel policy compliance. All the information you need is available in one place. A user-friendly meetings dashboard provides instant visibility. Track meeting and event spend and preferred brand compliance. Analyze activity company-wide or by destination, user, department, business unit, region and more to improve travel management. 3. Optimize duty of care. Nearly a third of travel managers (29%) are unsure how long it would take to locate their employees in a crisis, according to a 2017 study by the GBTA Foundation and Concur. Strategic sourcing solutions optimize risk management for duty of care responsibilities. They consolidate information on global calendars. You get a complete view of company meetings and events by planning status. Drill down for key details like: meeting owner, department, attendees, dates, venue, location, and more. In an emergency, you’ll be able to locate employees in affected areas fast and determine who needs help. 4. Establish core contract clauses. Did you know many meetings programs lose tens of thousands of dollars each year – in cancellation and attrition penalties alone? Contract negotiations is one area where inexperienced meeting arrangers can pose serious risks. Sophisticated sourcing tools allow you to add procurement rules into the sourcing process. Create standard company concessions and contract clauses that auto-populate on every eRFP. Work with your meetings department to set reasonable fees, such as 25% attrition up to the day of arrival. 6. Make easy work of reporting. Showcase team successes to senior leadership in reports you create in a couple clicks. Visualized data highlight meeting and travel management performance at a glance. You’ll prove your team’s vital role in safeguarding attendees and helping the company achieve its business goals.